Will avast! GrimeFighter speed up my old PC? Question of the week: I have seen your ads for GrimeFighter, but I don’t know if it will help me or not. I have an old laptop that’s really slow. Will GrimeFighter speed things up? How does it work? Yes, GrimeFighter will speed your old laptop up, and more than that. We are quite proud of avast! GrimeFighter and see it as a complement to the services provided by avast! Antivirus, so I’m glad you asked this question. 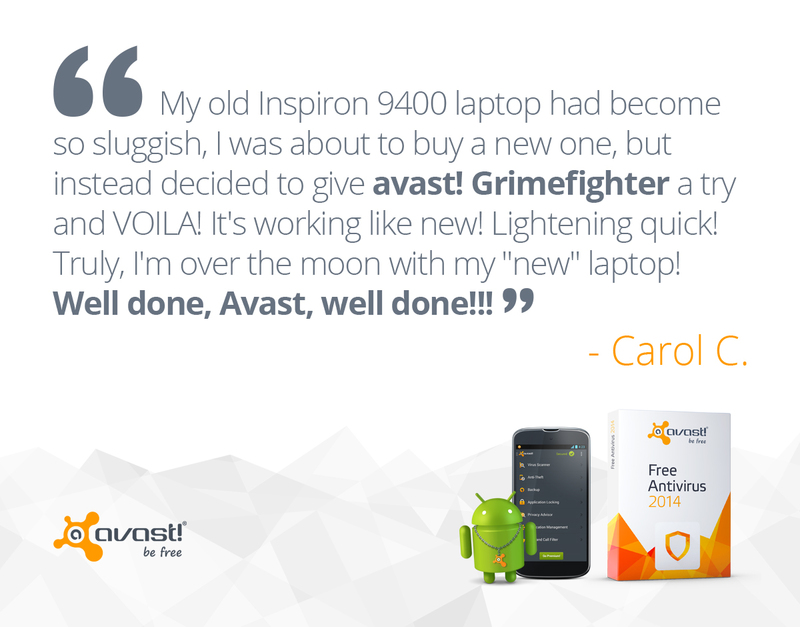 Read what one of our customers told us after using GrimeFighter on her old laptop. Here’s a summary followed by a short video on how to get GrimeFighter for your PC. Why do I need GrimeFighter? New PCs come pre-loaded with what we call Grime - all kinds of clutter and trialware. Over time your PC gets bloated with more Grime; viruses, spyware, pop-ups, and toolbars, making it sluggish and difficult to use. GrimeFighter comes to the rescue as an easy-to-use, and dare I say, even fun, fully-automated optimization tool designed so that even a novice can tune up his computer. If your computer runs Microsoft Windows 7, Microsoft Windows Vista, or Microsoft Windows XP, then you’re good to go. Avast! GrimeFighter does not run on any Apple Mac OS. There are some known incompatibility issues that we are working on. Please check before you start. What can I expect when I use GrimeFighter? If you run an avast! GrimeFighter scan for the first time on your computer, and you don't have a license yet, you'll need to purchase it. To do so, click 'Optimize My PC'. Depending upon the speed of your Internet connection, it may take a few seconds for all the necessary files to be downloaded and the scan to begin. Once it’s ready, you’ll be asked to restart your computer. Do that, and the scan will begin. You can surf the internet while it’s running. The scan may take anywhere from 30 minutes to a maximum of four hours. If it takes longer, then something is not working properly, and you should exit the scan.  Once it’s all done, you will be prompted to clean things up automatically or you can modify the recommended changes before the final system cleanup. The final report gives you an easy-to-read summary of what was done to improve your computer’s security, performance, and privacy. How do I purchase GrimeFighter? avast! GrimeFighter comes as a 1, 2, or 3 year subscription. You can get it through avast! Antivirus 2014 products, and it’s also available as a standalone application. Try avast! GrimeFighter on your old, slow PC. Thank you for using avast! Antivirus and recommending us to your friends and family. For all the latest news, fun and contest information, please follow us on Facebook, Twitter and Google+. Business owners – check out our business products. Be wary of emails, phone calls, pop-ups, or ads claiming tech support is needed to fix your infected computer. Learn scammers’ techniques and how to protect yourself. Are you one of the millions who does not protect their router? Here are the very real reasons why you should. Learn to identify and avoid the most common social media scams affecting users today.